It might be getting mixed reviews from critics, but we're still childishly overexcited for the release of Batman vs Superman: Dawn of Justice this weekend. In fact, we're so excited we've just spent an hour or two looking around the underground section of the Wayne residence - aka the Batcave! Because Batman. 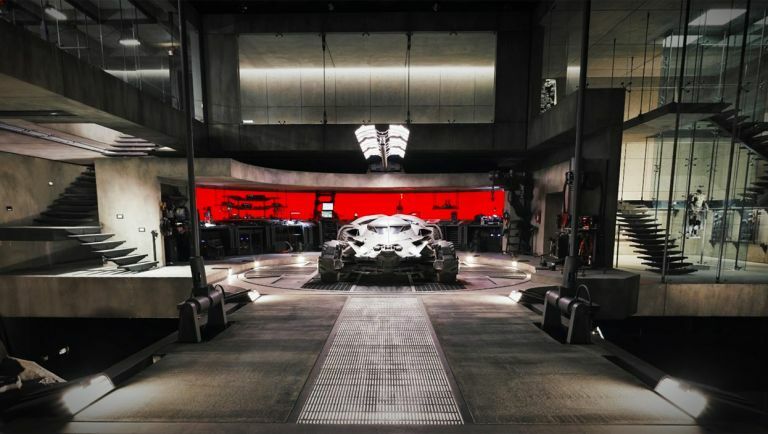 Yes, to celebrate the arrival of Zack Snyder's second installment in the DC Extended Universe, Warner Bros and Google have added a whole tour of Bruce Wayne's alterego manpad and it makes some impressive eye candy. Starting in the Wayne Manor lake house you can descend down into the cave depths below and visit the new Batmobile, the Armoured Batsuit Bats wears to clobber Supes in the film, the Joker-defaced Robin costume and the impressive Bat Computer. There's even an R&D section, a la Christopher Nolan's Dark Knight Trilogy filled with some pretty rad looking tech. If you're suitably hyped up to the film this weekend, why not check out the Batman vs Superman Batcave for yourself and pine for the underground man cave you've always dreamed of.